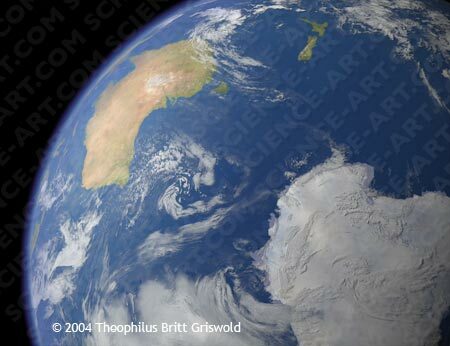 "Antarctica and Australia from Space"
Copyright © 2004 Theophilus Britt Griswold. This image is available for purchase, but with some restrictions on reuse: Original is 40 x 30 in. @300dpi.